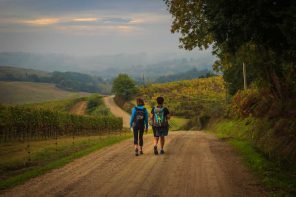 If you were to divide travellers on the basis of itinerary then there will be two types of travellers – one who goes by the rulebook and the other who goes by ‘what-will-be-will-be’ mantra. I have been of both kinds. But lately, I have drifted towards the latter. Blame it on my fondness for serendipity or maybe because I have become more adventurous. Rajasthan is one of my favourite places in Incredible India and I never miss a chance to visit it. 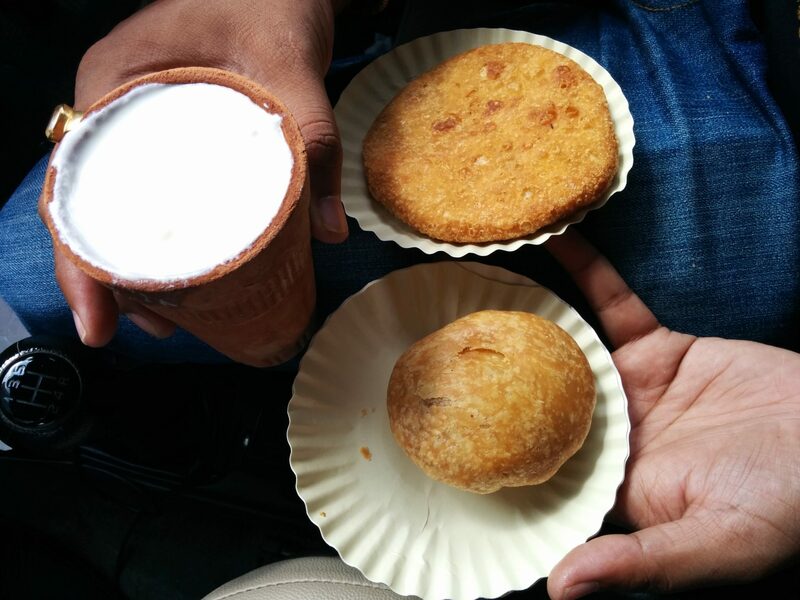 Last weekend, I started craving for the Rangelo Rajasthan dose. So an impromptu trip to Jaipur and Pushkar was made. Travel and accommodation were done in a jiffy, thanks to a dear friend of mine. 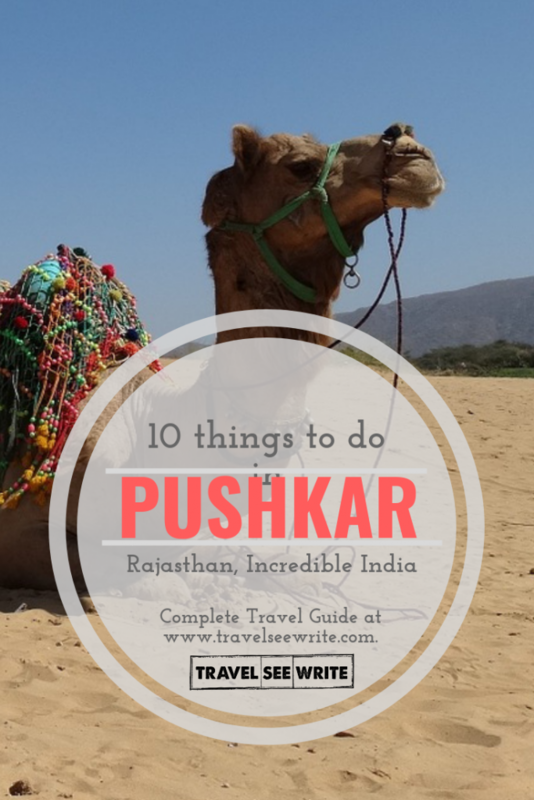 He was also the in-charge of finding 10 things to do in Pushkar. Next day at 9:20 am, Sarai Rohilla-Bandra Garib Rath Express was my chariot to Jaipur. After a comfortable journey, I reached the pink city at 2:10 pm. One can’t come to Jaipur and not eat the Pyaaz Kachori. So, en route to Pushkar, I stopped at Sodhani Sweets, Ajmer road to have my fill of Pyaaz Kachori, Daal Kachori and a glass of Lassi. The snacks were so heavy that I dozed off in the car itself. It was raining incessantly and the sound of the rain was the sweet symphony to my ears. That sweet symphony acted upon as a perfect lullaby. And the velvety Jaipur-Ajmer highway transformed into a bed of roses. At around 5 pm, I reached Pushkar. I didn’t want to stay in a hotel, so I checked in at a village resort called Lohana Village Resort. 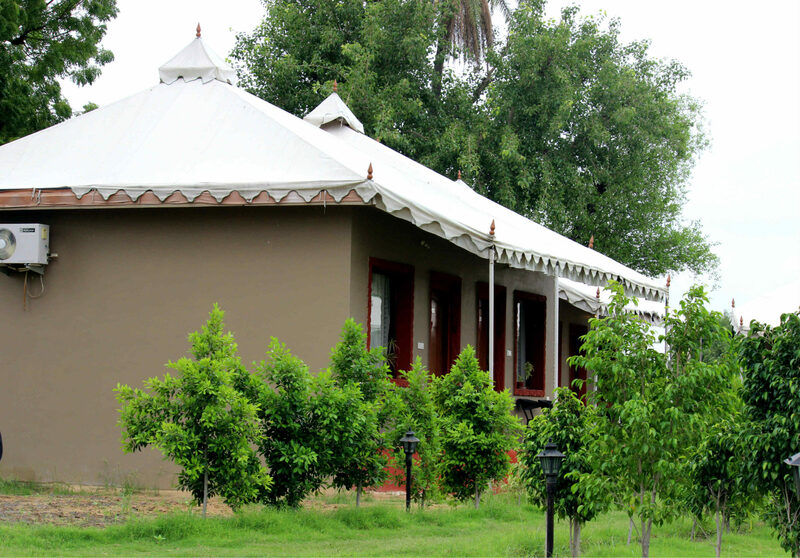 It is a gorgeous 12 cottages resort, beautifully tucked away in a serene and calm natural habitat where you will hear more birds chirping than human voices. And thank god for that. 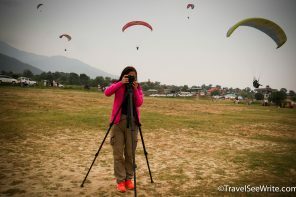 Lohana Resort offered the kind of solitude and natural experience that I was looking for. The resort staff was very courteous. The service, amenities, and food were excellent. And watching the sun go down the Aravali Hills was icing on the cake. The resort had a lot of flora and fauna. 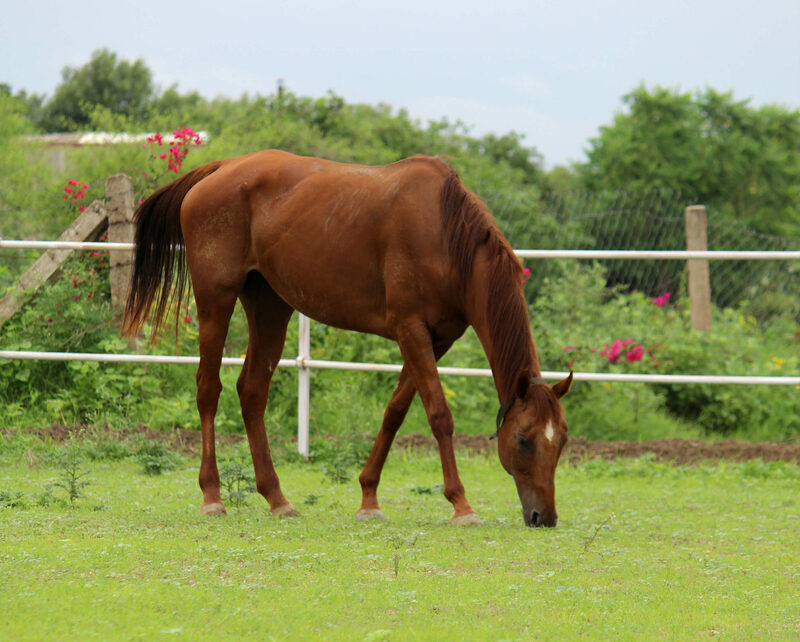 They have their own horse ‘Noorjahan’ and camels for your rides. Also, don’t be surprised if a peacock joins you for Tea. 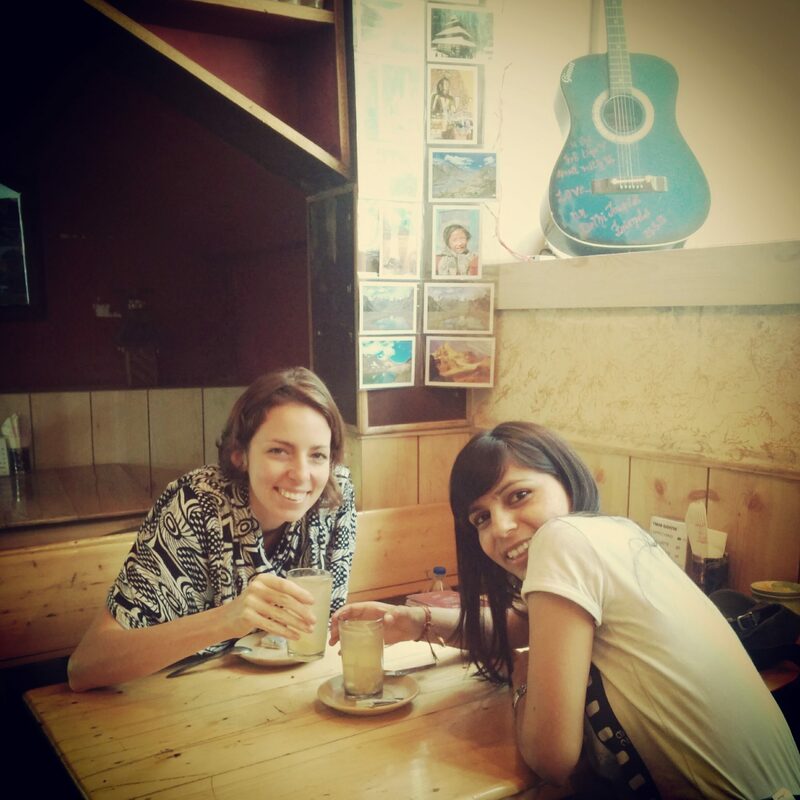 After light refreshments, I ventured out to visit the world-famous town of Pushkar. Now let me give some Gyan for the people who don’t know much about Pushkar. 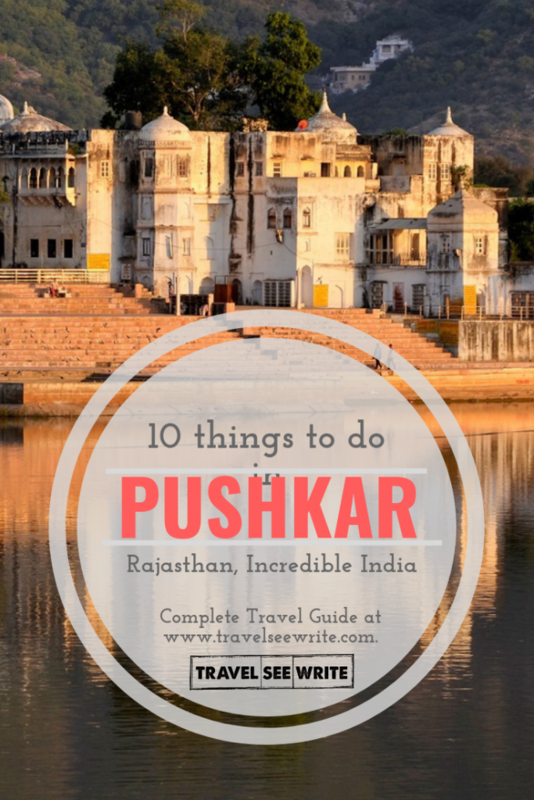 Snuggled in the lap of the Aravali hills and embellished by the serene Pushkar Lake; the town of Pushkar is a confluence of Hindu religion and culture, rustic Rajasthan and scenic locales. 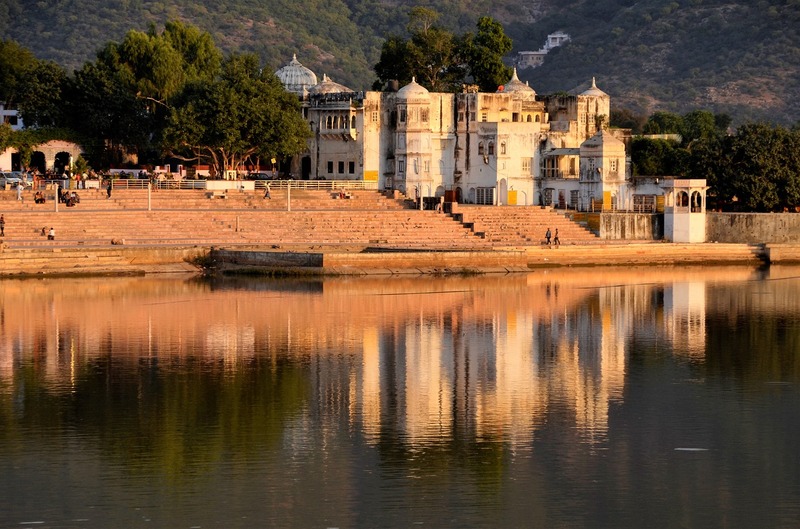 Pushkar is often referred to as “Teerth- raj”, which means the king of pilgrimages. It is believed that a visit to Pushkar is equal to “chaar dhaam” yatra. Let me give you a small low down on the historical and religious significance of the town. 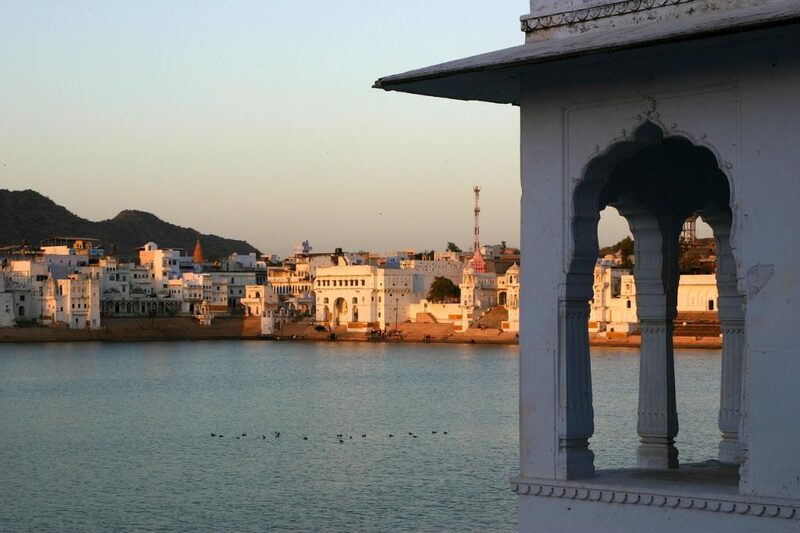 Pushkar derives its literal meaning from the Sanskrit word “Pushkar”, which means blue lotus. The name of the place has links to a mythological tale. According to the tale been told since ages, Brahma was in search of a place for Mahayagya and he found this place suitable. After a long time, Brahma came to know that a demon, Vajranash, was killing people here, so the Lord Brahma used a lotus flower intoned with mantras, as his weapon to kill the demon. During this process, the parts of flower fell on three places which were later known as Jyaistha, Madhya and Kanistha Pushkar. After this Brahma performed a yagya to protect this place from demons. The better half of Brahma, Saraswati, was needed to offer Ahuti for the yagya but she was not there that time so in the propensity to save time, Gayatri, a Gurjar girl, was married to Brahma to do yagya. This act made Saraswati angry and she cursed Brahma saying that he would be worshipped in Pushkar only. Though Brahma said to be the God of Gods as compared to other Gods, Brahma has only 5 historic temples in the world and the most important one is Pushkar. 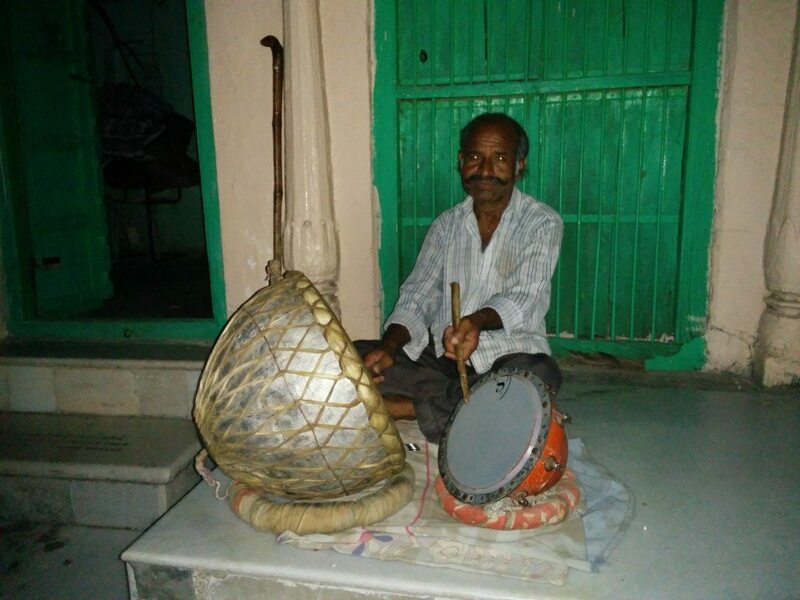 Attending the Aarti is recommended and don’t forget to listen to Kanhaiya Lal, a Khandani Nagada player, who has been playing musical instruments at the temple for ages. Offer puja but beware of the ponga pandits who will lure you into offering puja by asking you to listen to the mythological tale by just paying Rupees ten for the puja thali. But that’s the catch, within minutes they’ll ask you to give Rupees Eleven hundred or more to offer puja towards your well-being. Don’t get into their trap. They are a big nuisance in the lake premise. Pushkar holds one of the world’s largest camel fairs every year at the time of Kartik Purnima (last week of October or first week of November). 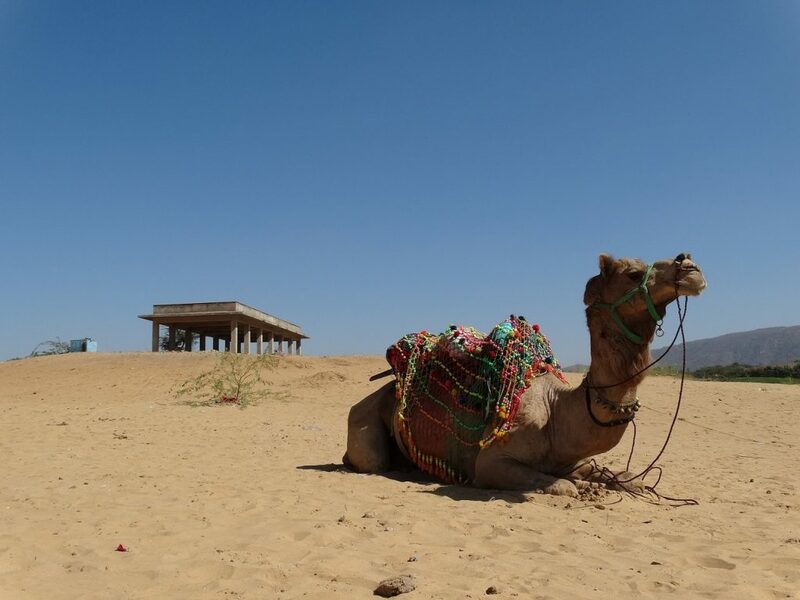 It is one of India’s most highly-rated travel experiences, visited by over 400,000 people over a period of around fourteen days, where more than 11,000 camels, horses and cattle and other animals are traded off in every price range. The Pushkar fair is also famous for arranging marriages. Moustache competition and other recreational activities are held. This year the fair is scheduled to start from 31st of October 2014. But make sure to check in advance because the hotel prices skyrocket during the fair. Also, if you want to see the majestic sunrise then hot air balloon ride is what should take. Watching the sunrise from the air is a sight that can’t be described in words. And if you are going during the off-season, like I did, then you can always take the camel ride or go for sawan ke jhulle or just stroll in the town. However, I always prefer to see the place on foot. Pushkar, with more than 250 restaurants, is a vegetarian paradise. It is said that Pushkar has a number of restaurants and temples than homes. Being a holy place, Pushkar is a vegetarian town so no restaurants serve meat and alcohol. However, don’t be surprised to find all kinds of world cuisines here. 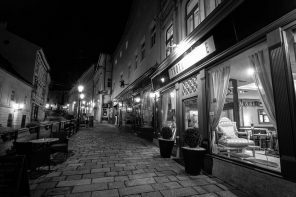 There are many famous restaurants that you must try. For example, the rooftop lake view Raju Terrace Garden Restaurant is a travellers’ favourite serving a lot of Indian and continental dishes. 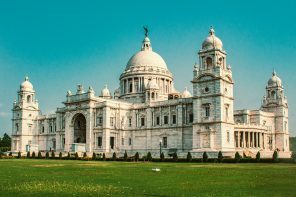 Other restaurants that you can try are Pink Floyd café, Sun-n-Moon, Honey & Spice restaurant, Sixth sense, out of the blue, Om Shiva Garden Restaurant, and Little Italy among others. Also, the Sunset Café is a good place to watch the sun go to bed. While Brahma Temple is the most famous temple in Pushkar, you shouldn’t miss Savitri and Saraswati temples. Each one sits on top of two hills near the city. 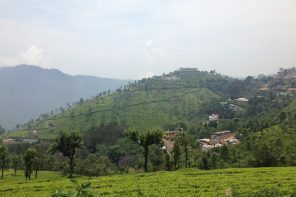 So if you are a trekker, like me, then you would love that long and steep trek. Pushkar being a land where Saraswati, the goddess of learning and knowledge, is worshipped it is but natural to find writers, artists, scientists and all others coming here in pursuit of knowledge and blessings. So, if you are the creative one then Pushkar has something for you. You’ll find many Music and Art schools here. 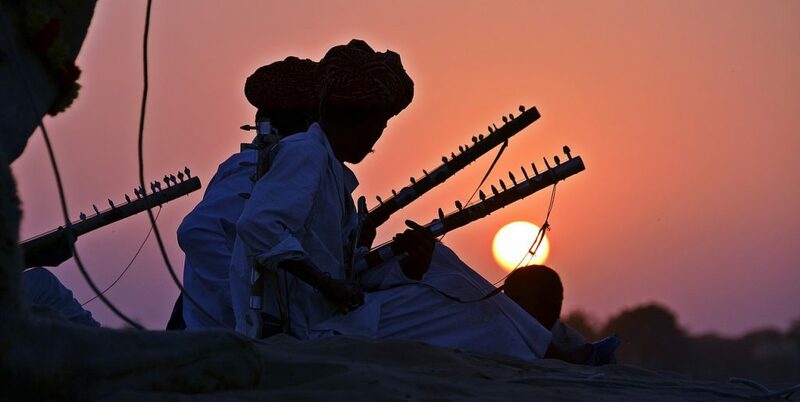 One such school is ‘The Pushkar Music School’ where you can learn classical sitar, tabla, harmonium, dancing and more, for Rs150 per hour in a peaceful lakeside location. Any trip, whether for leisure or spiritual reason, is incomplete without a good retail therapy session. And Pushkar doesn’t disappoint you in that department. The main shopping places in Pushkar are Sarafa Bazar, Baza Bazar, Sadar Bazar and Kedalganj bazaar from where you can buy textiles, unique embroidery clothes, casual clothes like gunji and lowers, ethnic jewellery which is speciality of Rajasthan, beads, brass utensil, lovely colourful bangles, great value for money camel leather goods, bags of different kinds but go for camel leather, shoes, paints, spices and much more. 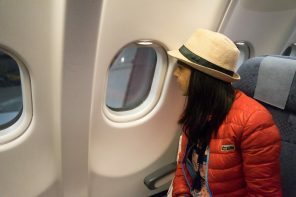 But if Jaipur features in your itinerary then I would suggest to buy it from there, considering in Jaipur you’ll get more variety and at a lesser price. Pushkar is a very tiny town and can easily be covered in a day or two. So it’s a good idea to head out for a scenic drive around Pushkar. Also, there are more than 400 temples around Pushkar that can easily be covered by a bike. There are a lot of Rental companies offering you a scooter for 150 rupees a day. But before you take a bike on rent, don’t forget to check the condition of the bike. You don’t want to be stuck in the middle of nowhere. The best way to appreciate the ethereal beauty of Pushkar is from the air. If you are in the town around the fair you must take a balloon ride. You do not only soar above the crowds but also get an amazing bird’s eye view of the fair and the desert. The balloon ride is usually organised towards the end of the fair. The best time to go on a balloon ride is at sunrise when the sun rays light up the temples, ghats and the ancient buildings surrounding the lake. Make sure you have done advance booking to get the best time slot. Last but not least and my favourite is to do absolutely nothing. Just ogle nature. Unwind. Relax. Listen to the natural music of birds. Get mesmerised by the dance performance of Peacocks. Meditate. Feed the pigeons. Talk to the locals. Eat local food. And if you like smoking then Pushkar is the mecca for you. You name anything and you’ll have it. 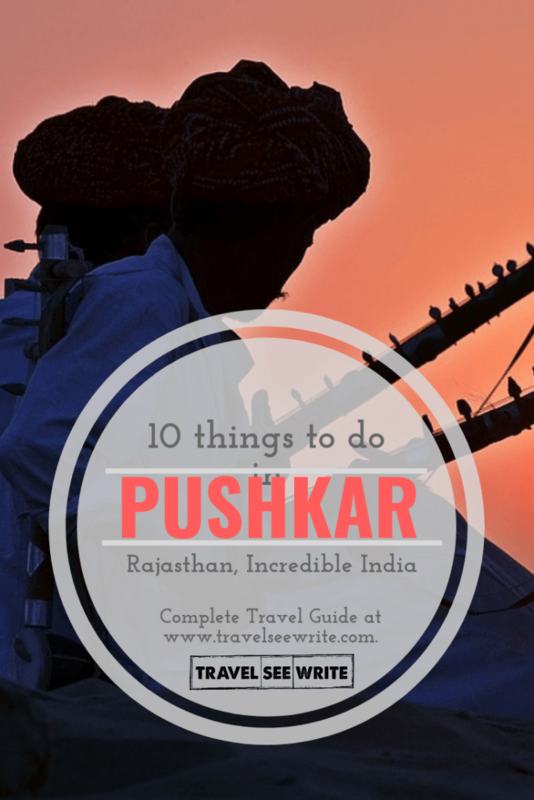 These 10 things to do in Pushkar are just the tip of the iceberg. I am sure there is a lot that you can discover in the city and around. The city is close to many important towns in the state and if you have time, I would recommend this 1-week itinerary in Rajasthan, India. Interested to know more about Rajasthan, read these stories? 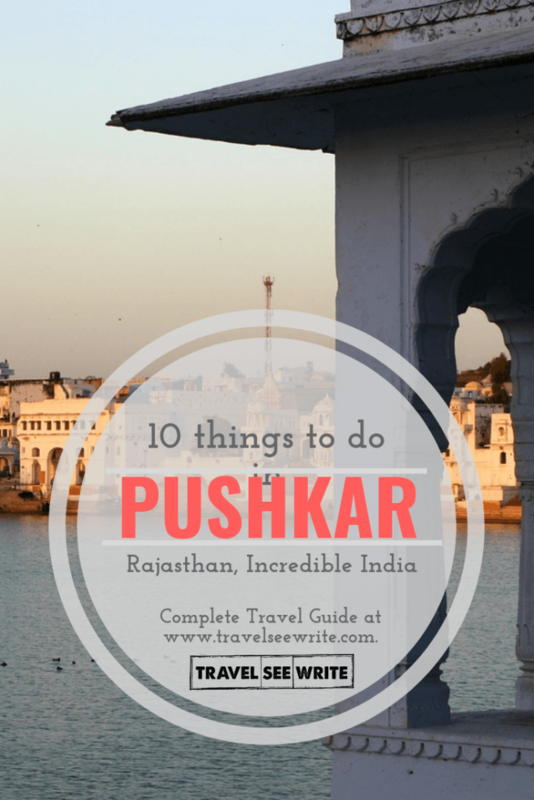 Have you ever been to Pushkar or Rajasthan? If yes, I would love to know about your experience. 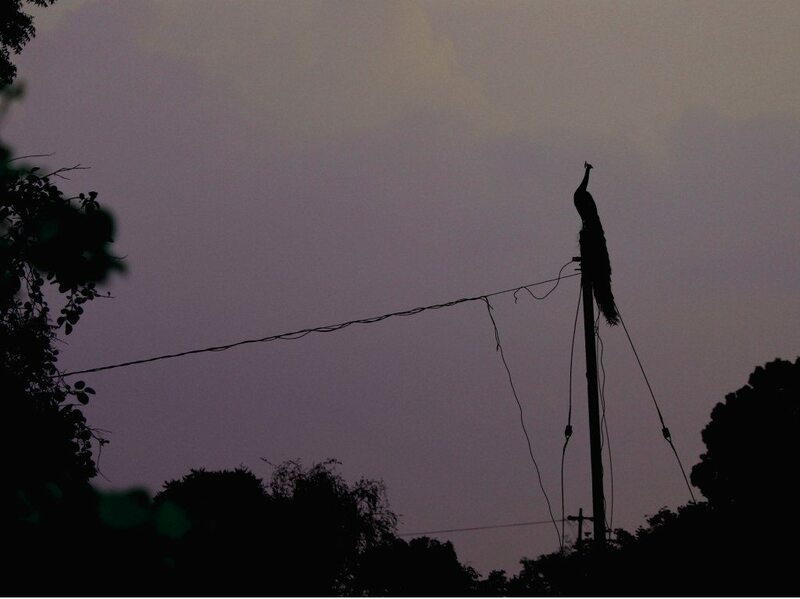 Great post Archana, I don’t know why but images are not displaying over here. I guess last time when I read this, they were there…. Thanks. Somehow the pictures were showing on my screen. Anyways reinserted them. Hope they are fine now. Dal kachori !!! How I miss it ! Muesli at Sonu Juice Shop at Main Bazaar and Mirchi Bada at Pushkar Chaat Bhandar, Kapra Bazaar (near Yagya Ghat) in Pushkar maybe one can have too. It is delicious. I just got to your blog through twitter and its really a delight. Really liked your writing style , a great mix of experience and information! You have found a regular reader for your blog!! Thanks Rajneesh for following and saying such kind words. Please keep sharing your valuable feedback. Excellent blog you have got here.. It’s hard to find excellent writing like yours nowadays. I honestly appreciate people like you! Take care!! Pushkar is the awesome place ,nice lakes here , thank you for sharing the Great blog and pushkar images. Thanks for the post. We always like reading your posts because they’re interesting and informative. Look forward to reading more in the future. Thank you. Awesome !! I will definitely do all these things…..
Not a single mention of Sunset experience and Malpua food item taste in Pushkar? I have visited pushkar many times specially to experience sunset view and to taste Malpua. If you are planning to visit this place again than experience this 2 things for sure. Well, Kachori was not bad as well.